Welcome to the Granville Station Dental Blog! 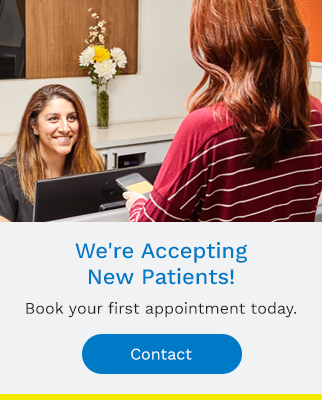 This is where we will regularly update our patients on what is new and exciting at our practice and in dentistry at large. This blog will provide information on advances in dental technology, oral home care health tips, news about our practice, current promotions and more! It will also provide an opportunity for you to participate. We hope you will read and respond to the array of engaging topics here, from health, beauty, career, cuisine, technology, and family. Come by for dental health information, exciting promotions and entertainment. To make sure you don’t miss anything, subscribe by entering your email in the form to your right. No matter how young they are, it is important that you begin teaching your children the importance of keeping their mouth clean. Wisdom teeth, but sometimes referred to as third molars, usually erupt into the mouth at around the ages of 17 – 25. They are the last set of permanent teeth to appear. Some people never develop them, others erupt normally and cause no problems. Why Go to the Dentist? We’ve Got a Few Good Reasons! Regular visits to your skytrain station dentist at Granville Station Dental are incredibly important for both your oral health and your general health. Here at Granville Station Dental, your skytrain dentist, we understand that our patients may suffer from dental anxiety and therefore can be extremely reluctant to contact us and book an appointment. If you’re suffering from a toothache, contact your skytrain station dentist Granville Station Dental as soon as possible – your tooth may be abscessed and require emergency dental care. Dry Mouth? Here’s What You Can Do! If you suffer from dry mouth – especially in the summer – your skytrain station dentist at Granville Station Dental has some valuable tips on what you can do to relieve your dry mouth symptoms and enjoy yourself, whatever the season! Enjoy the Invisalign Infograph below provided by your skytrain station dentist Granville Station Dental and see why Invisalign Invisible Aligners could be the clear choice for your Orthodontic treatment.